Now get your website ssl secured quickly and easily that too suitable for your budget. 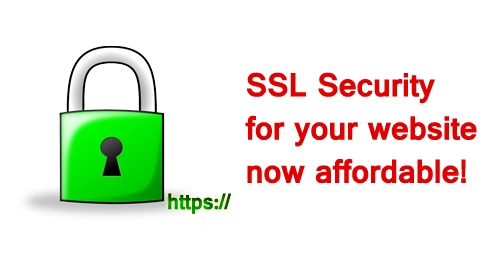 Our SSL Combo includes Dedicated IP address for your website and Comodo Postive SSL Certificate. Get an easy lightweight SSL Certificate for Your Business! Includes Free Site Seal, Online Validation and is Issued in minutes and No Paper Work required. We do offer our technical support for ssl installation too.